our adventurous weekend last week ended with a trip to the farmer’s market. when i first moved to SLC i went almost every saturday because i was so enchanted by it, but last summer i never went – not even once! wedding planning and being engaged got the best of my time, but this past weekend we finally got to hit it up once more. we headed over around 9:30 am, before the crowds hit, and had theeeeee best eggs benedict of our lives!!! 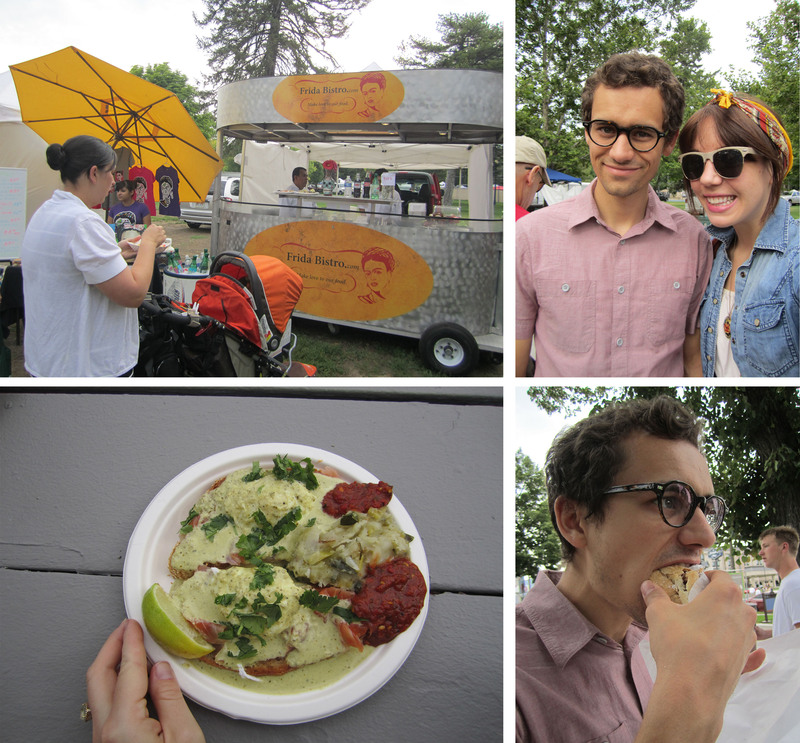 it was from the frida bistro food truck and had us talking about it for days afterward. let me just add that it had verde hollandaise sauce and smoked salmon on super tasty, grainy bread. so worth the trip alone. we also bought some super cheap cherries, tomatoes and giant summer squash. cooking with fresh produce is always more fun. 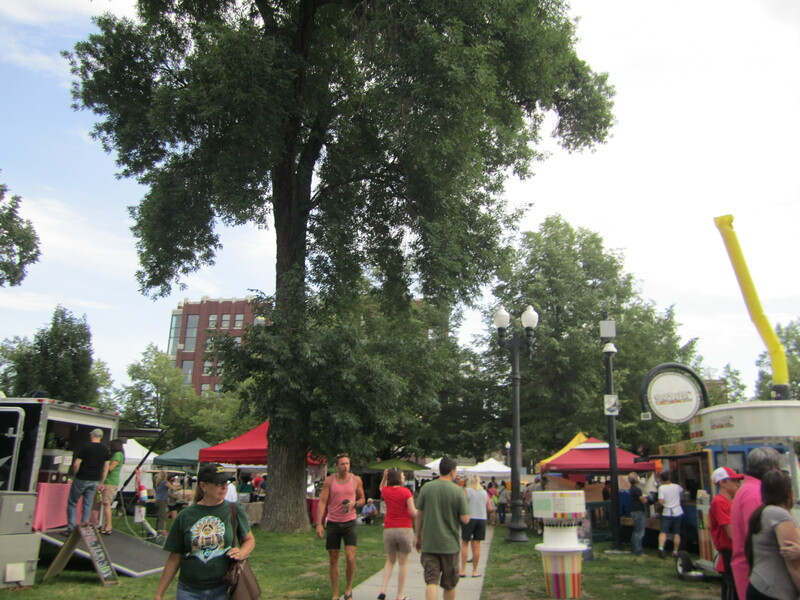 This entry was posted in kunz life, salt lake city and tagged breakfast, farmer's market, saturday. Bookmark the permalink. that’s it. we’re going together next week. i’ve been dying to go this summer too!